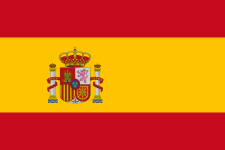 This name uses Spanish naming customs: the first or paternal family name is Reyes and the second or maternal family name is Calderón. * Senior club appearances and goals counted for the domestic league only and correct as of 21 November 2016. José Antonio Reyes Calderón (Spanish pronunciation: [xoˈse anˈtonjo ˈreʝes kaldeˈɾon]; born 1 September 1983) is a Spanish professional footballer who plays for RCD Espanyol mainly as a left winger but also as a forward. He made his professional debut for Sevilla at only 16, signing for England's Arsenal aged 20. After two years he returned to Spain, going on to represent the two largest clubs in Madrid, Real and Atlético Madrid. He also had a short loan spell in Portugal with Benfica, re-joining Sevilla late in his career and winning the Europa League three times. Reyes gained 21 caps for Spain, and represented the nation at the 2006 World Cup. Born in Utrera, Province of Seville, to Spanish Kale (Gitanos) parents, Reyes joined the youth ranks of local Sevilla FC at the age of 10 and went on to represent the club at all youth levels. Reyes finally signed a full contract in 1999, making his main squad debuts during 1999–2000 at just 16 in a game against Real Zaragoza, and was later called up to Spain's squad for the UEFA European Under-17 Championship. With the Andalusians now in Segunda División, he added another first-team appearance. After Sevilla were promoted, Reyes established his reputation as a versatile offensive unit in the following years, his 25 goals in official matches over the course of four seasons leading to other teams taking notice. Despite Sevilla manager Joaquín Caparrós wishing to hang onto him, Reyes signed with English side Arsenal during the January transfer window of the 2003–04 campaign. The £10.5 million transfer fee was negotiated with top ups, depending on the success of Arsenal, which eventually rose to £17 million. He made his debut on 1 February 2004 in a 2–1 win over Manchester City, and two days later he scored an own goal against Middlesbrough in the Football League Cup. Later that month, he netted twice against Chelsea to knock them out of the FA Cup; he also scored against the latter opponent in the quarter-finals of the UEFA Champions League, and his goals in the penultimate two games of the season helped keep Arsenal's unbeaten run in the Premier League going. Hat-tricks in friendlies during the summer 2004 showed Reyes' improvement, and he was a prominent influence on Arsenal's impressive start to 2004–05, in which he managed to score in each of the first six games. However, he struggled during midway through the season after Arsenal's defeat by Manchester United at Old Trafford, and performed inconsistently overall. In early 2005, Reyes was reported to be homesick while at Arsenal, even though his parents, Mari and Francisco, as well as brother Jesús lived with him in England. During a prank call perpetrated by Cadena COPE in February 2005, a prankster claiming to be Emilio Butragueño, director of football of Real Madrid, speaking on behalf of the president, reportedly called the player's agent and spoke to him about a possible transfer deal. In the ensuing conversation, the latter allegedly declared that life in London was far from what he had envisioned and he would welcome a move back to his country; he also supposedly said that he wanted out of the club as there were "bad people" at Arsenal. On 21 May 2005, Reyes became only the second player in history (after Kevin Moran) to be sent off in an FA Cup final, when he was dismissed for a second yellow card shortly before the end of extra time against Manchester United, though Arsenal still went on to win the game in a penalty shootout. He temporarily ended speculation about a move away from Highbury in July, when he signed a new six-year contract and declared that he was "looking forward to having many more successful years at the club." Reyes featured heavily in the Gunners' 2005–06 Champions League run, against, among others, Real Madrid, Juventus F.C. and Villarreal CF, coming on as a substitute in the final against FC Barcelona, which Arsenal lost 1–2. However, in August 2006, he expressed a desire not to play in the club's Champions League qualifying match against NK Dinamo Zagreb – to do so would render him 'cup-tied' and complicate a move to Real Madrid; club manager Arsène Wenger left him out of the team, thus fuelling speculation that a transfer was soon to be agreed. Reyes was linked to Real Madrid along with Arsenal teammate Cesc Fàbregas in the summer of 2006, when presidential candidate Arturo Baldasano claimed he would sign both if elected. After making two official statements on Arsenal's website denying media reports of being unhappy, alleged quotes from Reyes in the Spanish press contradicted his denials. This tested the patience of Wenger, who reacted angrily to Real Madrid's attempts to unsettle his player, suggesting that it was not the first time Real Madrid had used the media and agents in Spain as a destabilising tactic; shortly before the closure of the 2006 summer transfer window, the teams agreed to exchange him for Brazilian international Júlio Baptista, each on a season-long loan deal. Reyes scored his first goal for Real Madrid on 17 September 2006, with a free kick against Real Sociedad, in a 2–0 home win. On the final day of the season, the focus was on soon-to-be-departed David Beckham and Roberto Carlos, but Reyes, brought from the bench for injured Beckham, netted twice as Real came from behind to beat RCD Mallorca and claim yet another La Liga title. Real Madrid appointed former Getafe CF coach Bernd Schuster on 8 July 2007, increasing the chances that Reyes would sign a permanent deal and stay in Spain. However, reports surfacing on 29 July indicated that city-rivals Atlético Madrid were on the verge of landing the player. Later that day, Wenger confirmed that Reyes' departure was imminent, and that a more specific announcement would be made shortly. On 30 July he passed his medical and penned a four-year deal, reportedly worth €12 million. He made his club debut against S.S. Lazio, scoring and assist once in a 3–1 victory in the annual Amsterdam Tournament (while at Arsenal, he was named the tournament's MVP in its 2004 edition); his first campaign with the Colchoneros was disastrous, as he was often kept out of the side by Maxi Rodríguez and Simão Sabrosa and failed to score a single goal in 26 league appearances. On 8 August 2008, S.L. Benfica announced the signing of Reyes on a one-year loan deal – the Portuguese also bought 25% of his playing rights for a fee of €2.65 million, and ensured a buying option of the remainder 75% for an undisclosed fee. His first goal for the Lisbon club was scored against city rivals Sporting Clube de Portugal on 28 September 2008: after an understanding between Reyes and Pablo Aimar and a pass from the same, he scored in fashion. Later in the same week he found the net again, against S.S.C. Napoli, helping Benfica to a 2–0 home triumph in the season's UEFA Cup first round – eventual 4–3 aggregate win. Reyes' return to Atlético proved to be much more successful, as he re-united with Quique Sánchez Flores, his manager at Benfica from the previous season. He scored his first official goal in Spain in more than two years on 9 January 2010, with a long-range effort at Real Valladolid, in a 4–0 success – by then, he had beaten the competition of Maxi and started in the wings alongside Simão. On 14 February 2010 he put in a Man of the match performance in Atlético's 2–1 win against FC Barcelona, setting up the opening goal for Diego Forlán in the eventual champions' only league defeat of the season. Four days later, in the Europa League 1–1 home draw against Galatasaray SK, he scored a stunning free kick from the right wing on the 22nd minute, after he was brought down just outside the box (3–2 aggregate win); on 28 March he curled in a left-footed shot from the right wing just inside the box, opening the score in the Madrid derby against his former team, in an eventual 2–3 loss. On 27 August 2010, Reyes opened the scoring in the 2010 UEFA Super Cup against Inter Milan (eventually 2–0 win), after a one-two combination with Argentine Sergio Agüero. His first league goal of the season came in a 1–4 defeat at Hércules CF on 9 January 2011, which inspired an impressive run of scoring form, with goals in successive home games in February/March, against Valencia CF, former club Sevilla and Villarreal CF. Reyes took up more responsibility for the 2011–12 campaign, and established himself as one of the team's most important players. On 28 July 2011, he scored twice for Atlético in a 2–1 Europa League win against Strømsgodset IF. In the second leg, a week later, he was again on the scoresheet, also assisting a goal for Adrián López in a 2–0 away success. However, he struggled to find the consistency he had under Flores and, after a fall out with new manager Gregorio Manzano after being substituted in a 0–3 defeat at Athletic Bilbao, his playing time became more and more limited. On 5 January 2012, Sevilla confirmed the signing of Reyes, who penned a contract until June 2015. He played his first game three days later, starting in a 1–2 away loss against Rayo Vallecano, and scored his only goal of the season on 5 May, in a 5–2 win in the reverse fixture. His first goals of the following campaign came on 18 November 2012, through a first-half brace in a 5–2 Seville derby success over Real Betis – the opening goal came after eleven seconds. Reyes scored twice in 12 Europa League matches as Sevilla won the tournament in 2013–14, including one in the second leg of their last-16 win over city rivals Betis. On 27 May 2015, in the final of the following season's tournament, reportedly his final game for the club, he captained and assisted Carlos Bacca's first of two goals as the team came from behind to defeat FC Dnipro Dnipropetrovsk 3–2 in Warsaw. However, he remained, starting as skipper in the ensuing Super Cup against Barcelona in Tbilisi and scoring a goal as his side came from 1–4 down to take the game to extra time, but lose nonetheless. Reyes netted twice as Sevilla advanced to the domestic cup final, including once in a 4–0 home win over Betis for the round-of-16. He missed the final weeks of competition after undergoing surgery to his appendix, and on 1 June 2016 it was announced the 32-year-old would be released upon the expiration of his contract. On 28 June 2016, Reyes joined RCD Espanyol on a two-year contract, reuniting with Flores. Reyes earned his first full cap for Spain on 6 September 2003, coming on as a half-time substitute during a 3–0 friendly win against Portugal in Guimarães. On 11 October, again coming from the bench, this time for Vicente, he scored twice in the final three minutes of a 4–0 win in Armenia for the UEFA Euro 2004 qualifiers, but was left out of Iñaki Sáez's final squad. Two years later Reyes was picked for the 2006 FIFA World Cup, but only appeared once in four matches – the 1–0 group stage win against Saudi Arabia, with Spain already qualified in first place. He was again overlooked for the victorious Euro 2008 tournament, as manager Luis Aragonés preferred the likes of David Silva and Santi Cazorla on the wings. Reyes also appeared once for the Andalusia autonomous team. 1 2 3 "Reyes's fifth win: top UEFA club cup winners". UEFA.com. 18 May 2016. Retrieved 19 May 2016. ↑ Guillem Balague (1 February 2004). "Reyes is gunning for glory". The Guardian. Retrieved 2 June 2009. ↑ "Caborn wants Aragones action". BBC Sport. 2 January 2005. Retrieved 23 May 2012. ↑ Jose Maria Rondon (29 January 2002). "Reyes, la pieza más codiciada de Nervión" [Reyes, Nervión's most coveted possession] (in Spanish). El Mundo. Retrieved 2 June 2009. ↑ "Reyes passes Arsenal medical". BBC Sport. 28 January 2004. Retrieved 2 January 2010. ↑ "Middlesbrough 2–1 Arsenal". BBC Sport. 3 February 2004. Retrieved 1 July 2016. ↑ "Arsenal 2–1 Chelsea". BBC Sport. 15 February 2004. Retrieved 1 July 2016. ↑ "Bridge breaks Arsenal's hearts". UEFA.com. 7 April 2004. Retrieved 1 July 2016. ↑ "Barça comeback denies Arsenal". UEFA.com. 18 May 2006. Retrieved 10 June 2015. ↑ "El Real Madrid gana su 30º título de Liga" [Real Madrid wins 30th league title] (in Spanish). Cadena SER. 17 June 2007. Retrieved 28 May 2015. ↑ "Atletico Madrid 2–1 Barcelona". Goal.com. 14 February 2010. Retrieved 7 March 2011. ↑ "Reyes realises goal dream". UEFA.com. 27 August 2010. Retrieved 28 August 2010. ↑ "Hercules 4–1 Atletico Madrid". Goal.com. 9 January 2011. Retrieved 7 March 2011. ↑ "Joaquin shines to pile misery on Atletico". ESPN Soccernet. 12 February 2011. Retrieved 7 March 2011. ↑ "Reyes to the rescue for Atletico". ESPN Soccernet. 26 February 2011. Retrieved 7 March 2011. ↑ "Villarreal top-three hopes checked". ESPN Soccernet. 5 March 2011. Retrieved 7 March 2011. ↑ "Atletico Madrid's Gregorio Manzano: There is no conflict with Jose Antonio Reyes". Goal.com. 2 November 2011. Retrieved 27 December 2011. ↑ "Atletico Madrid's Gregorio Manzano retains confidence in Jose Antonio Reyes". Goal.com. 16 December 2011. Retrieved 27 December 2011. ↑ "Reyes returns to Sevilla". Football.co. 5 January 2012. Retrieved 8 January 2012. ↑ "Reyes fails to shine". ESPN Soccernet. 8 January 2012. Retrieved 11 March 2012. ↑ Olmedo, Álvaro (5 May 2012). "Navas acerca al Rayo al precipicio" [Navas brings Rayo closer to the abyss] (in Spanish). Marca. Retrieved 27 May 2015. ↑ "Sevilla romp to victory". Sky Sports. 18 November 2012. Retrieved 27 May 2015. ↑ Aitken, Nick (20 March 2014). "Spot-on Sevilla get the better of Betis". UEFA.com. Retrieved 27 May 2015. 1 2 Keegan, Mike (27 May 2015). "Dnipro 2–3 Sevilla: Carlos Bacca scores twice as La Liga side survive scare to retain Europa League crown and earn Champions League spot with dramatic win in Warsaw". Daily Mail. Retrieved 28 May 2015. ↑ "Barcelona 5–4 Sevilla". BBC Sport. 11 August 2015. Retrieved 12 August 2015. ↑ Parejo, Jaime (12 January 2016). "El Sevilla FC abusa, sin despeinarse, del Betis (4–0)" [Sevilla FC abuse Betis without breaking a sweat (4–0)] (in Spanish). ABC. Retrieved 19 February 2016. ↑ "Jose Reyes has appendix operation ahead of Sevilla v Shakhtar". Eurosport. 27 April 2016. Retrieved 4 June 2016. ↑ "Sevilla confirm Reyes exit". Football España. 1 June 2016. Retrieved 4 June 2016. ↑ "Espanyol confirm signing of former Sevilla forward Jose Antonio Reyes". Sport. 28 June 2016. Retrieved 1 July 2016. ↑ "España recupera el buen juego con una goleada en Portugal (0-3)" [Spain get their winning streak back with a goalfest in Portugal (0–3)] (in Spanish). El País. 7 September 2003. Retrieved 27 May 2015. ↑ "España logra una goleada estéril ante Armenia y deberá jugar la repesca" [Spain achieves sterile routing against Armenia and now must contest the play-offs] (in Spanish). El País. 11 October 2003. Retrieved 27 May 2015. ↑ "Un doblete de Barral amarga a Madrid la fiesta de su centenario" [Barral brace bitters Madrid's centenary celebration] (in Spanish). Diario AS. 7 June 2013. Retrieved 8 June 2015. ↑ "José Antonio Reyes". European Football. Retrieved 27 May 2015. 1 2 3 4 5 6 7 8 9 10 11 12 13 14 15 "Reyes: José Antonio Reyes Calderón". BDFutbol. Retrieved 6 April 2015. ↑ "Matches played by Jose Antonio Reyes in 2003/04". Soccerbase. Retrieved 6 April 2015. ↑ "Matches played by Jose Antonio Reyes in 2004/05". Soccerbase. Retrieved 6 April 2015. ↑ "Matches played by Jose Antonio Reyes in 2005/06". Soccerbase. Retrieved 6 April 2015. ↑ "Reyes". ForaDeJogo. Retrieved 6 April 2015. ↑ "José Antonio Reyes". Soccerway. Retrieved 6 April 2015. ↑ "José Antonio Reyes". European Football. Retrieved 19 May 2016. 1 2 3 4 5 6 "José Antonio Reyes – Trophies". Soccerway. Retrieved 28 May 2015. Wikimedia Commons has media related to José Antonio Reyes.